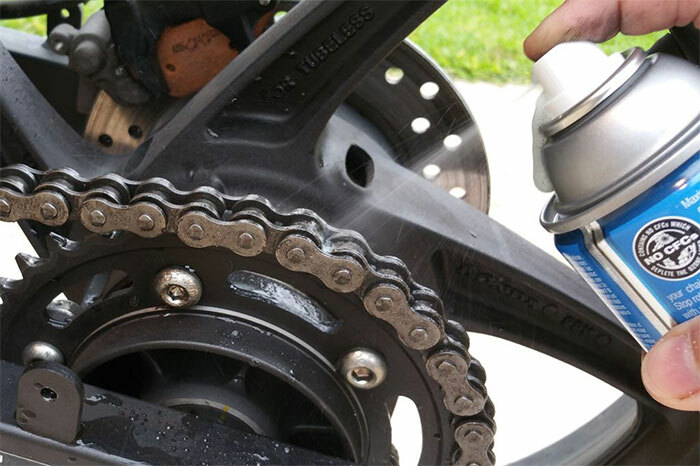 If your motorcycle isn’t blessed with shaft or belt drive then you will have a chain connecting the engine to the rear wheel. The chain is completely exposed and as such picks up all sorts of dirt, grime, grit and dust when riding. It’s especially bad in the wet as the water also tends to strip any lubrication that’s on there. This entry was posted in Motorcycle Maintenance and tagged chain, lube, maintenance on October 16, 2018 by mc_admin.